After hosting her first Havening Techniques® Training during a record-cold Michigan winter, Donna Ryen became the first Certified Practitioner here in Feb 2014. She quickly observed the transformational effect that her clients experienced moving from difficult past experiences into a more productive and hopeful future. Havening Techniques® soon became the central part of her work in facilitating holistic deep change with her clients. Donna now travels regularly as Certified Havening Techniques® Trainer and Presenter. As the Veterans-Havening Chair for the United States, Donna is currently working with key policy makers and advocates to have Havening Techniques® offered as a viable treatment for the many veterans seeking help here and abroad. Her passion and vision are rooted in developing best practices for trainers and practitioners within the global community of Havening®. In 1991, Donna began a successful career as a professional corporate coach with APT Consulting and The Center for Professional Development. In private practice since 2006, her one-on-one coaching work emphasizes integration and balance of the whole human being, taking into account individual, family, social and universal drivers. 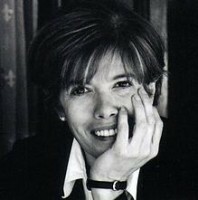 Donna is also an Emmy award-winning documentary film writer and producer for PBS. Living in Michigan, she teaches filmmaking part-time and has begun preproduction work and research for a documentary on Havening Techniques®. Donna is thrilled to be a global ambassador for Havening moving forward during these most exciting times with the team of talented and gifted colleagues!